Anomet's custom clad-metal wire features a true metallurgical bond. Available in bi-clad (2 alloy layers) or multi-clad (3 or more alloy layers) options depending on the application. Clad-metal wire combines high strength, highly conductive, corrosion resistant, wear resistant, and contact resistant alloys into a single material system. Whether its optimizing material properties or cost, draw on Anomet's 40 years of clad-metal experience to engineer the perfect wire solution to your problem. Our wire is used in all types of connector pin and lead applications. If you need a highly reliable pin or lead for your electronic device, give us a call to discuss your application. Anomet specializes in copper and copper aloys (BeCu 172), gold and gold alloys (WE#1), MP35N, molybdenun, nickel and nickel alloys, nitinol, platinum and platinum-iridium alloys, palladium, tantalum, titanium, silver, stainless steel and other alloys. Production of connector pin wire via a cladding process provides the connector design engineer a great degree of flexibility. The precious metal used, the barrier layer, and the substrate are not restricted to only those metals which are suitable for electroplating. The use of a wide range of precious metal alloys, designed for specific applications becomes possible. Difficult to plate materials such as palladium and nickel are available without fear of hydrogen cracking. 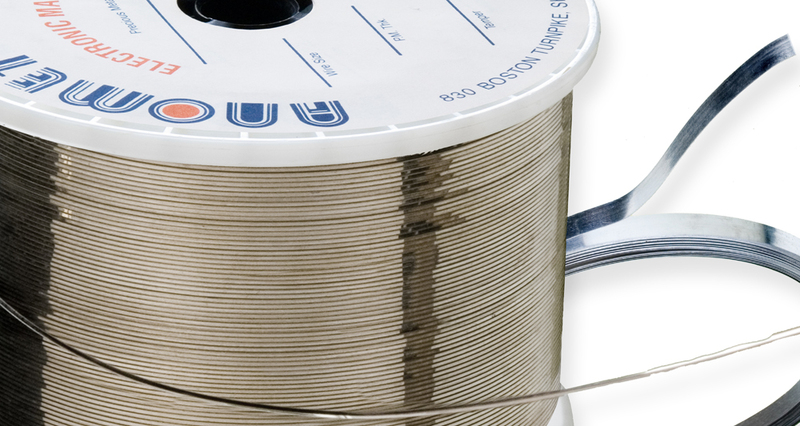 Anomet offers clad wire products from 0.002" diameter and above. Both shaped and round wire is available with virtually no restrictions on precious metal thickness. As is the case in selectively clad strip, combinations of cold work and annealing allow flexibility in mechanical properties such as precious metal hardness, tensile, and elongation. The table below outlines both the precious metals and the substrates which are typically specified. PRECIOUS METAL ALLOYS CUST. SPECS.